25 Channel Center, Unit: PH#104 Boston, MA 02210. Live on Top of The World in this Sky High Penthouse Duplex with 2 Car Parking! Spectacular & Endless Skyline & Harbor Views from Every Window! The most Amazing Home offered in the Seaport District! Dramatic Corner Livingroom with Walls of Glass and 20FT Ceilings! Sweeping Open Concept Living with Gourmet Kitchen, Diningroom, Livingroom and Glass sliders to Large(125+SF) entertaining front Deck! There are 3 Bedrooms and 3 Full Baths! Lavish Master Bedroom Suite with its own Private Deck! 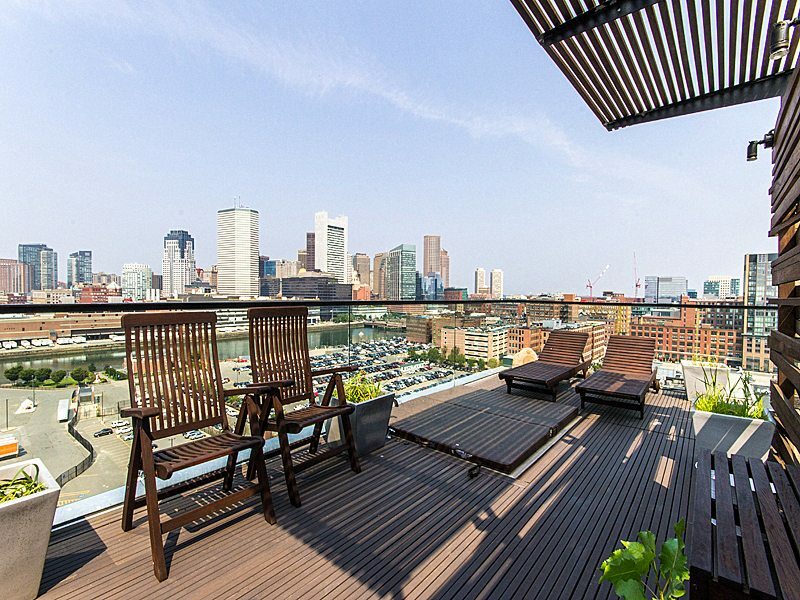 The Absolute Best Roofdeck in the Entire City of Boston! Over 700SF!! Custom Built, attention to Every Detail…Stainless Chef’s Grilling Station & built in Dining Banquette! Enjoy the Multi-person Hot Tub , Swedish Sauna & Outdoor Shower! Truly an Unparalleled Extension of your Living & Entertainment Space! This Home is a One of a Kind Opportunity for the Astute Urban Homeowner! Enjoy living in an established and sought after Luxury Building with Concierge! Come See this Investment Grade Home Today!